Staggering – that’s the only word! I’m talking of course of the local football news story that former England coach Sven-Goran Eriksson has signed for the world’s oldest league club as Director of Football. 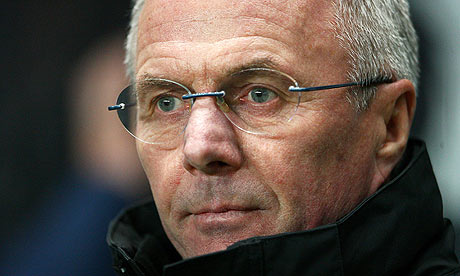 Apparently Sven’s duties will include the overseeing of player development and training facilities at Meadow Lane. Other responsibilities will include looking after the youth academy, negotiating transfers for the club, scouting for new talent and the general health and fitness of the players. Joining him in dealing with these duties will be his long-time assistant Tord Grip. 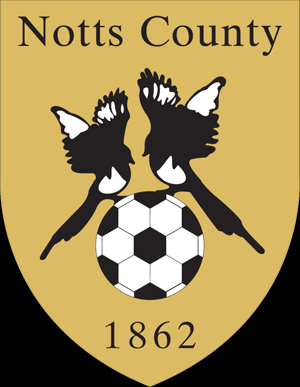 It’s all become a reality due to the recent takeover of Notts County by Munto Finance, a Middle-East based consortium who have highly ambitious plans for the club which include a realistic establishing of Notts in the Championship within the next five seasons. This patience makes a refreshing change in these kinds of matters. Those close to Munto Finance, the ambitious consortium which took control last week with plans to establish the club in the Championship within five years, say Eriksson is in for the ‘long haul’. I don’t have a lot of local knowledge about this takeover but I’ve been told that the new people at Meadow Lane are capable of making the old club one of the ‘top five’ financially in English football. I have no idea how true that is. What is apparent though is that Eriksson will come at a hefty price. Some suggestions have been that the Swede will be earning up to £40,000 per week in Nottingham. 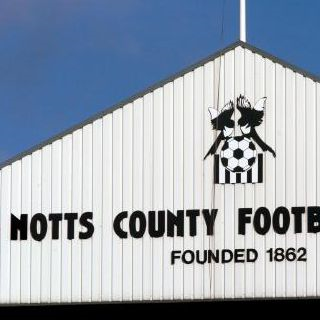 The owners however are quick to state that his earnings will ‘largely be determined by the success of Notts County on the pitch’ and that Sven will become a shareholder of the club. The Magpies have posed no threat to local rivals Forest for such a long time now Attitudes between the two local teams’ supporters changed dramatically after Brian Clough and Peter Taylor came along in the 1970s’ at Forest and probably changed the face of Nottingham football forever. I’ll stick up for the underdog here and say here and now I’d absolutely love Notts to rise like a phoenix and resume their challenge for the local superiority that was once in the balance. It would be fantastic for Nottingham football if the club climbed through the divisions again to resume their old rivalry with Forest, and more importantly to do themselves justice. The latter is important as neither club should really be gauging themselves on how they are faring compared to ‘the other lot’. That’s the way of parochialism and doesn’t in any case sit well with the modern game. This city has been a slight football backwater for too many years now and it would be good to see Nottingham ‘on the map’ football-wise again. Certainly the arrival of Eriksson will provide much of the media spotlight around these parts again. Apart from the obvious precedent over the other side of the River Trent with Brian Clough and his many victorious deeds with The Reds, there’s also a slight precedent for this at Meadow Lane. Back in the 1950s’ Forest were a middling Second Division club and Notts an unloved Third Division outfit. Then Chairman, Charles Barnes put pen to cheque and acquired the great England centre-forward Tommy Lawton for the unfashionable club. Think of a third tier club signing Christiano Ronaldo these days and you’re in a similar sphere. Lawton did amazing things, Notts became THE club in the city in that era and the whole story of Tommy Lawton and Notts County became a legendary one, locally at least. I take my hat off to Notts on this one. Good luck to the old club I say!